Tonight saw the London premiere of Swimming with Men starring Daniel Mays, Rob Brydon, Jim Carter, Thomas Turgoose, Rupert Graves, Charlotte Riley. The cast and creatives walked the special blue carpet at the Curzon Mayfair. attends the UK Premiere of “Swimming With Men’ at The Curzon Mayfair on July 4, 2018 in London, England. Dive in because the pool officially opens on for Swimming with Men in UK cinemas on Friday 7 July. Get your team of family and friends together and go see this fun, feel-good, summer splash-hit! 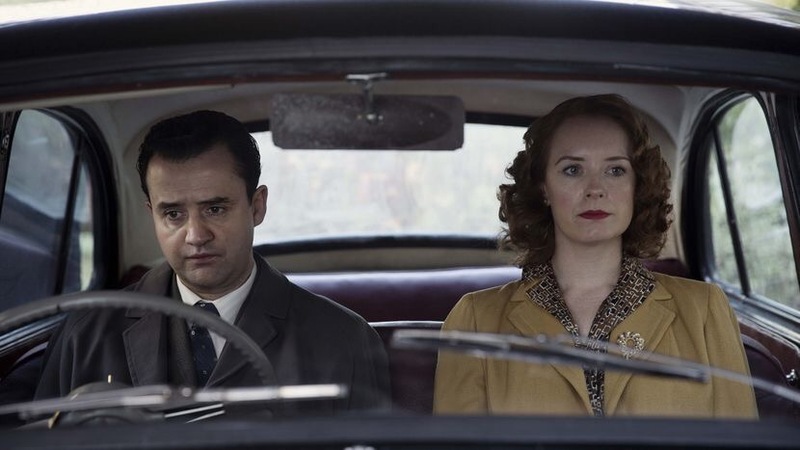 Against the Law starring Daniel Mays had its world premiere at the BFI Flare London LGBT Film Festival on Thursday 16 March at the BFI in London. The film is a powerfully moving drama and intermixed throughout is real-life testimony from men who lived through those dark days, when homosexuals were routinely imprisoned or forced to undergo chemical aversion therapy in an attempt to cure them of their “condition”. BFI Flare audience reaction to the film was incredible and overwhelming. Daniel Mays (Line Of Duty, Rogue One: A Star Wars Story, Public Enemies) stars in BBC Two’s powerful factual drama as Peter Wildeblood, a thoughtful and private gay journalist whose lover Eddie McNally (played by newcomer to television, Richard Gadd), under pressure from the authorities, turned Queen’s evidence against him in one of the most explosive court cases of the 1950s – the infamous Montagu Trial.Written by Brian Fillis, Against the Law is directed by Fergus O’Brien, produced by Scott James Bassett and executive produced by Aysha Rafaele, Creative Director of The Documentary Unit, BBC Studios. Made by BBC Studios, Against the Law will broadcast on BBC Two in July. Updated 27 February 2017: Tickets for both screenings of Against the Law on 16 March 2107 are currently SOLD OUT. There is a possibility that tickets will be available on the day of the event. BFI Flare: London LGBT Film Festival has today announced their exciting 2017 program line up for their 31st edition! Against the Law starring Daniel Mays and Mark Gatiss has it’s gala world premiere with two screenings on Thursday 16 March 2017 at 18:15 and 20:45 at BFI. Against the Law is a timely and sensitive biopic based on Peter Wildeblood’s bestseller which tells the story of his affair with a handsome serviceman he met in Piccadilly and the devastating consequences of their relationship. Wildeblood had been a celebrated and well-connected journalist on the Daily Express, with a range of acquaintances that included Lord Montagu of Beaulieu. He is played by Daniel Mays, in a beautifully nuanced performance that charts his journey from Fleet Street via public vilification to his imprisonment under the same legislation that sent Oscar Wilde to Reading Gaol. Mark Gatiss gives a chilling performance as a prison doctor charged with administering therapeutic measures to homosexuals acquiescing to the idea that they can be ‘changed’. The importance of Peter Wildeblood’s case (jointly brought against him, Lord Montagu and Michael Pitt-Rivers) is that it brought the debate about homosexuality into the public domain. It led the way to the creation of the Wolfenden Committee on sexual law reform that eventually resulted in the passing of the 1967 Sexual Offences Act, which changed the lives of thousands of gay men with its partial decriminalisation of homosexual acts. This film offers a profoundly moving portrait of what it meant to be gay in the 1950s, underlining the importance of understanding our recent history and the immense social and emotional burdens endured by generations of gay men. More information on the festival and ticketing can be found at the BFI Flare: London LGBT Film Festival website.